We headed inland, leaving behind us the palm trees and sandy beaches of the Costa del Sol. 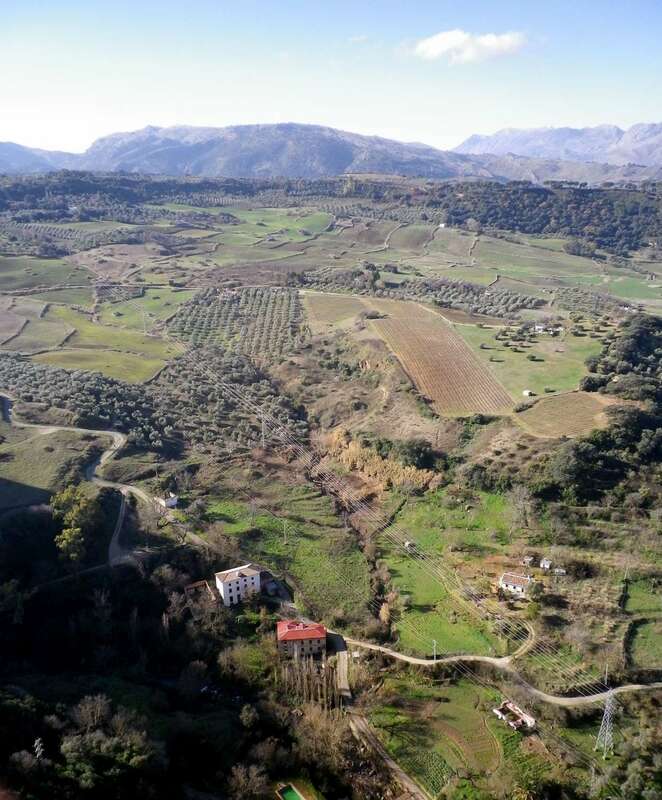 Soon the streetscape of high rise hotels and tourist-packed bars gave way to the rugged Andalusian countryside, and instead of the smooth, wide autopistas we found ourselves following narrow, dusty roads, littered with potholes. While there had been a steady flow of traffic on the main roads, these were almost deserted, signalling that we had left the well-trodden tourist trail behind us. Part way up a hill we stopped at a mirador, one of viewpoints along the way, to admire the scene before us. In one direction, screened by hazy clouds, we could make out the dark outline of the Rock of Gibraltar, and beyond it, very faintly, the North African coast. The other way the undulating wooded hills and valleys rolled into the distance, scattered with the area’s famous white villages. It may have been January, but the mild southern Spanish climate meant that few leaves had fallen and the trees were still fully clothed. Against the deep green of the surrounding woodlands the bright white-washed walls of the villages seemed to glow, illuminated by the soft golden rays of winter sunlight. It was to one of these villages, Cortes de la Frontera, that we were heading. It was mid afternoon when we arrived, siesta time, and the village was drenched in sleep. The shops were closed, and the chairs outside the small tapas bars were stacked up, waiting for the evening trade. The only sound to interrupt the stillness was the chiming of the church clock. The narrow streets were punctuated by orange trees, the vivid hues of the fruit a sharp contrast to the white walls. Almost the only other splash of colour was the bull ring at one end of the village, now closed except for an annual celebration each summer. It was the Spain of my imagination. Unpolluted by armies of heavy handed tourists demanding all day breakfasts and lurid cocktails 24/7 Cortes had remained refreshingly authentic with not a McDonald’s or Starbucks in sight. 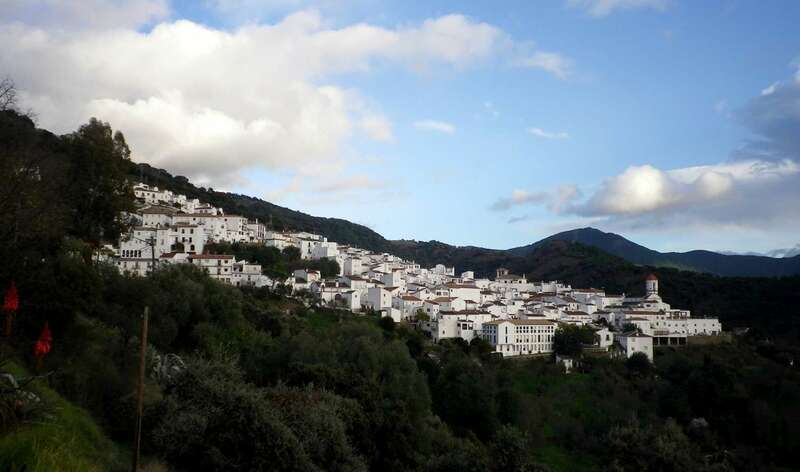 There are around 20 of these Moorish villages in the Sierra de Ronda, each with its own character. 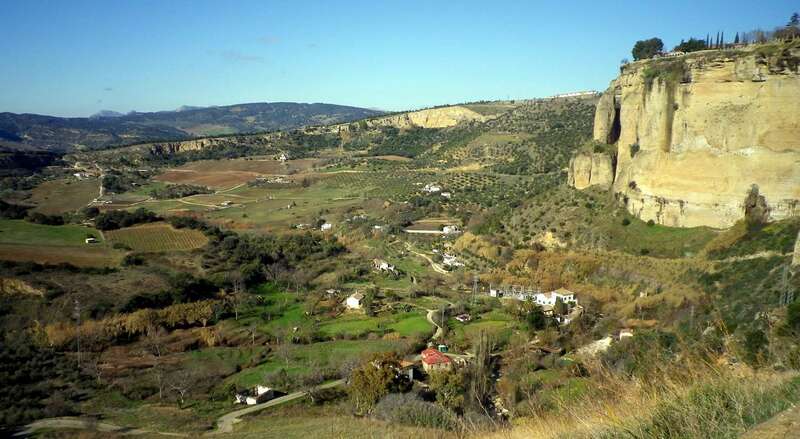 One which is particularly worth a visit is Guenagacil which is in the next valley, a 50-minute drive from Cortes. Once a year, during the first two weeks in August, it hosts an art festival, after which the prize winning works of art are put on permanent display turning the village into a kind of outdoor art gallery and wandering through the streets reveals sculptures and murals at almost every twist and turn. Also just a short drive from Cortes is tiny village of Benarraba which has the claim to fame of having once been the setting for a television advert featuring the man from Del Monte. Ronda is Andalusia’s fastest growing town, and is now the region’s third biggest tourist draw after Seville and Granada. But despite the influx of visitors it has retained its charm, especially in the old town. Ronda is reportedly Ernest Hemingway’s favourite place in Spain and wandering through the cobbled streets it is not hard to see why. Perched across the vast El Tajo gorge, and surrounded by mountains there are few cities that can boast such spectacular surroundings. The old town falls on one side of the gorge, with its narrow cobbled streets and Moorish influences. Ronda was the last Moorish city to fall in the Spanish reconquest in 1485 and although much of the Moorish influence was destroyed the legacy is still apparent in the Moorish baths which still remain at the ancient entrance to the city, the Moorish King’s Palace and the old city walls. On the other side is the new (18th century) part of the town with its bullring (claimed to to be the oldest in Spain), wide streets, and attractive squares. 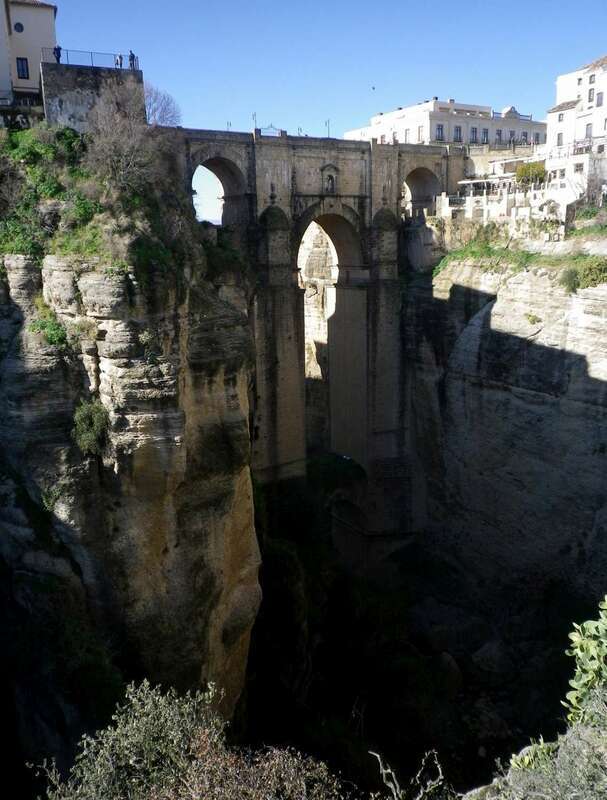 There are three bridges linking the two halves of the city over the 390 foot deep chasm, the most famous of which is the Puente Nuevo which was finally completed in 1793 after 40 years of construction work. After several days of exploring the delights of the Sierra de Ronda we headed back towards the coast, towards the Costa de la Luz. The hills gradually flattened out, and on one side were sweeping plains and on the other the wild and windswept beaches of the Atlantic. We passed the port of Tarifa, which in summer is teeming with kitesurfers and hippies, but in winter was almost deserted. A few kilometres inland is the tiny village of Facinas, almost surrounded by wind turbines. From the windows of our apartment we could see them, standing guard along the horizon, the movement of their long white arms almost hypnotic. But as darkness fell they faded into a sea of lights. Perhaps because of its distance to airports the Costa de la Luz seems to have been missed off the tourist trail, so its small seaside towns have remained unspoiled. Just a few minutes drive from Facinas is Bolonia. The picturesque golden beaches and rolling sand dunes would be enough of a reason to visit this quaint fishing village, but there are also the ruins of a Roman town, complete with amphitheatre and necropolis. Although the excavation is still ongoing visitors are still able to walk among the discoveries and at the same time enjoy views of the beach. Tucked between the ruins and the Atlantic, only accessible by a walk along the beach, are two seafood restaurants offering an unrivalled dining experience of eating locally caught fresh fish in the sunshine, with views of the ruins, the crashing waves and the Moroccan port of Tangiers just visible on the horizon. Ferries run several times a day between Tarifa and Tangiers, taking just 35 minutes to make the crossing with the opportunity to hop continents and enjoy an authentic tagine for lunch. While Spain may be one of the most popular holiday destinations for Brits much of it remains largely undiscovered by tourists. Just a short drive into the Andalusian countryside there are a wealth of places and experiences just waiting to be discovered. EasyJet and Ryanair both fly to Malaga. Ryanair also flies to Seville. 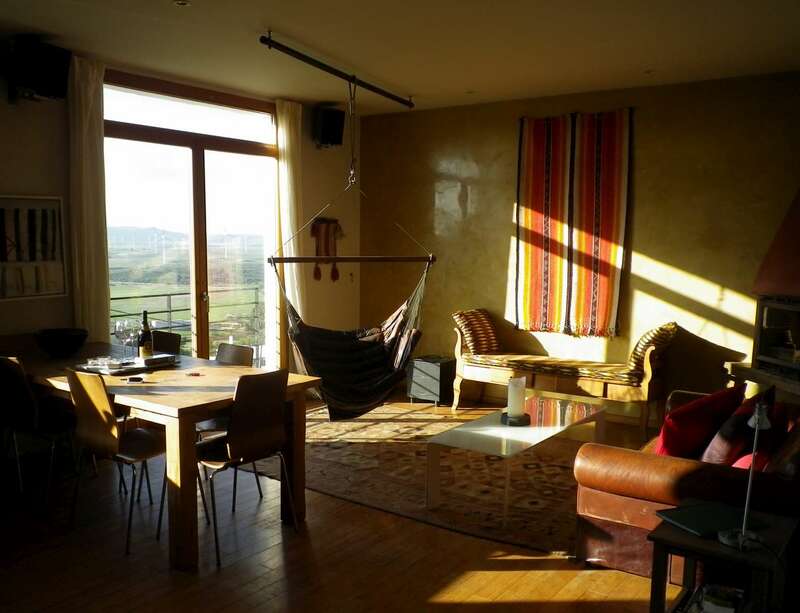 The 2’s Company Travel have a range of accommodation available to rent in Andalusia, perfect for couples. When you book with them they also provide a handy dossier including information about where to visit and restaurant recommendations. Tel: 01380 840407. 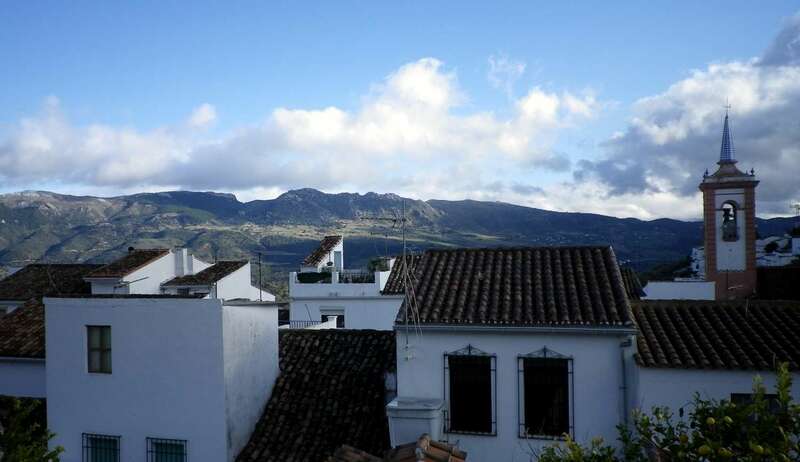 Emma stayed at The Muleteers House in Cortes de la Frontera and Casita Molinos in Facinas. Car hire with Avis starts from £108 per week in Malaga. Tel: 0844 581 8181. Traga Tapas, Calle Nueva, Ronda. Tragatapas is the sister restaurant of Michelin-starred restaurant,Tragabuche also in Ronda. Try the tapas which are unusual and modern dishes. Almost everything is made to order and is surprisingly reasonable. Lunch for two with drinks and tip is around £25. Between Cortes de la Frontera and Ronda is Cueva de la Pileta, a cave with 25,000-year-old symbols and drawings. Tours take around an hour, and may only be in Spanish, depending on your guide. The ticket office opens at 10am but be prepared to wait for a tour as they will only take place if and when there are enough people. Tours cost 8 euro. The Roman ruins of Baelo Claudia are spectacular, however they are not very well signposted. From Tarifa follow signs to Bolonia and as you approach the village you will see a sign. 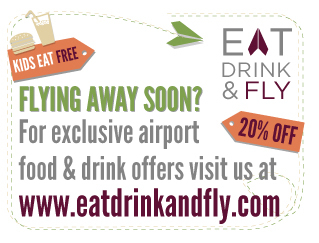 Entry is free to EU residents although you will have to show a passport or driving licence. Take a day trip to Tangiers from Tarifa. A day trip can be arranged for around £50 per person including lunch and a tour of the city.